New Arrival !! Florida Car !! Factory Navigation !! The diesel model comes with a 2,987-cc 3.0-liter DOHC 24-valve V6 engine. It puts out 215 hp and 398 pound-feet of torque. Like all M-Class models, the engine is paired with a seven-speed electronically controlled automatic transmission. 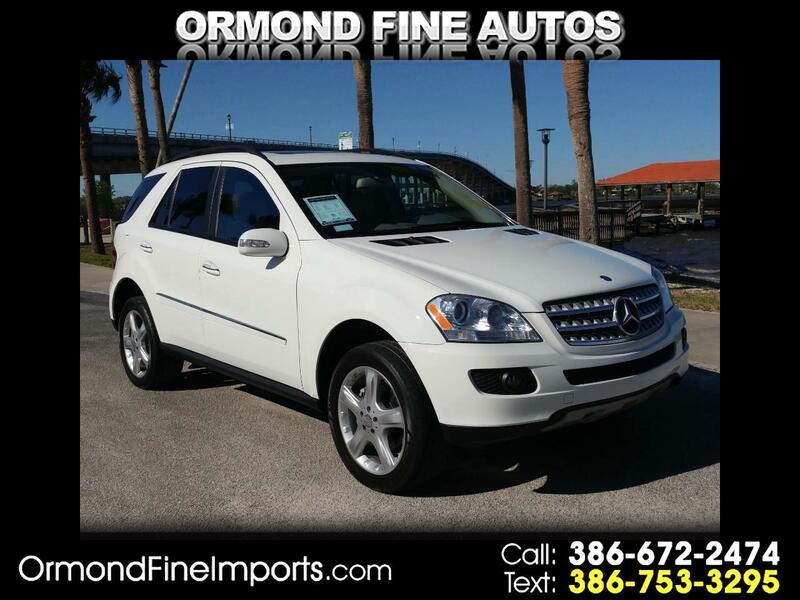 Reviews are generally positive about the performance of the 2008 Mercedes M-Class, which includes the world's first-ever seven-speed automatic transmission in an SUV. "Its ride is smoother and its handling is more poised than the best of Detroit's truck-based sport utilities," says the New York Times.